Looking at the Bosch GSA18V-083 hacksaw. I am also looking at the Milwaukee 2719-20 M18 which has a very similar shape. How would you compare the two? Anyone owns both? The Bosch stroke length is 0.83″ (Is this the reason for the model number 083?) and the Milwaukee is 0.875″. I know the Milwaukee is Brushless, but is the Bosch brushed or brushless? Here is a video review of the two although the Milwaukee M18 he used is an older version so some specs have changed. I am hoping someone here with the Bosch version can comment on what they like and don’t like about the Bosch from personal experiences. I strongly believe he’s a Milwaukee boy. Seems to dismiss the Bosch despite it’s obvious over-performance on most cuts he executes. You should also keep in mind that he may have also intentionally or inadvertently skewed results as well via a variety of variables notwithstanding his love of Milwaukee which to me seems obvious. How can it be ascertained he’s not using the same quality blades or simply pressing harder on his Milwaukees even subconciously versus when he uses the Bosch? These kinds of uncontrolled ‘comparisons’ are frought with elements like this that make most of them useless to begin with for real side-by-side true comparisons. I have all three of the Bosch current ergomically designed recips. They all perform excellently. The other factor you should really consider is that Bosch, while a laggard at having a plethora of varieties in different offerings, is German designed tools with tons of research and a strong quality reputation, whereas Milwaukee imo has almost dropped to DIY Ryobi standards in wanting to rush to market more variety over well designed and durable tools. This has been going on for years at Milwaukee staining their reputation imo. I’ve had too many bad Milwaukee tools in the past decade or so to shun them now. If it says “Free” on a Milwaukee tool, I would walk away. It’s actually surprising that many tool conoisseurs have still not picked up on this. Take it for what it is worth, but imo that once great American brand of Milwaukee is not what it was decades ago. I can’t tell if he is biased towards Milwaukee or not, but that’s the most direct comparison available for reference purposes. The specs are similar. His conclusion is the Bosch and Milwaukee 18V are pretty much on par. However Milwaukee has since come out with the “FUEL” version of this tool that is more efficient, more powerful and brushless so I have to assume the FUEL M18 should perform better. 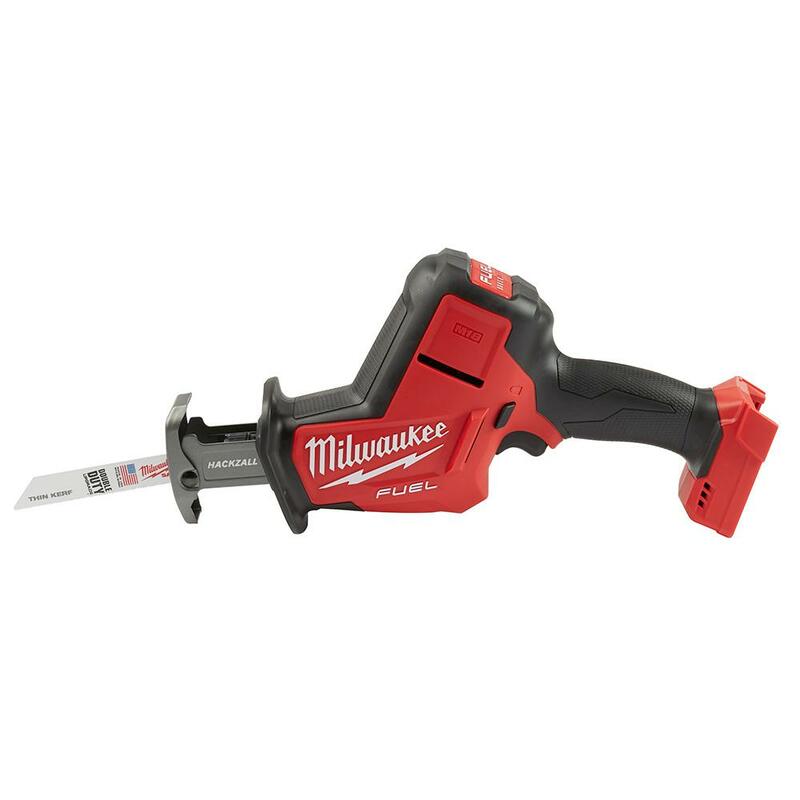 One consideration is that Milwaukee is the one who came up with this “hump back” one handed compact saw design, so I have to assume they may be more advanced in this tool. Most likely both tools will do what I need it to do. Which three versions do you have? The 10.8V, the 18V compact saw and ? I own the GSA18V-083 and use it a lot at work and at home. Well I can’t say anything negative about it, powerful and a lot of runtime. Me either it is is a good saw. As good as the Milwaukee for sure. Great post,, I can tell you’d make a great bosch sales person. Hump back yes, one handed no. Makita was the first with the one handed. Here’s TOTT write up on the Bosch saw. In this one, Milwaukee and Bosch came out ahead, with Milwaukee having the slight edge, which is what I expected given that the other tests I saw they used standard 18V Milwaukee saw, and in this test it’s the FUEL brushless version. Bosch was able to keep pace with Milwaukee for the most part. The Makita smoked and choked in his tests. The tasks they were doing with the small saws is just not what the Makita is designed for or the Ridgid for that matter. It’s for small delicate work to use with a small blade. Makita being the first to market it gives the rest of the tool companies something to beat. True, but the only way to test them us to kind of push the boundaries a bit. The Ridgid one crapped out because of the internal thermo switch on the battery. I have experienced it and it’s super annoying. That is the standard whereby to judge the utility of a small recip when it comes to “delicate” work. Kudos to Bosch to make this saw “stand up”. My M18 hackzall doesn’t stand up, or if it does, the slightest breeze will blow it over. A tool that is standing up easily falls down. A tool that is laying down can’t fall down. That’s not what Confucius said. Confucius said “A tool that’s laying down is a tool that FAILED to stand up”. Fat bases don’t fit in places. I have been looking at this recip saw for awhile. After using my old NI CAD battery recip saw while doing some reno work. I realized it was time to get a better recip saw. It isn’t a tool I use very often. When I use it I want it to work til the end of the job. I sure this tool would be nice for pruning. As far as balance they feel about the same. So the Bosch saw will be a backup compact saw. I don’t use a compact saw that often, usually the full recip. saw (and I am thinking about the multi-grip Bosch), in close quarters or when one handed operation is important then I use the compact saw. I have never done pruning with it, usually I will get the chainsaw out for that. If I prune I still have to break down the branches so they fit into the collection cart and using this saw will be too slow on breaking down. Plus I prefer using a pole on a chainsaw for the reach instead of being on a ladder with a short saw. I saw that you received yours last week.